How Much The Cost Requires To Start Up A Taxi Service ? Starting up a taxi service requires huge investment, however taxicab business is a potentially profitable venture, business returns can add up many taxis. It is good business for entrepreneurs to expand within their first year. Apart from an investment taxi business needs enough marketing plan, managerial skill and compliance with local act to develop the business effectively. 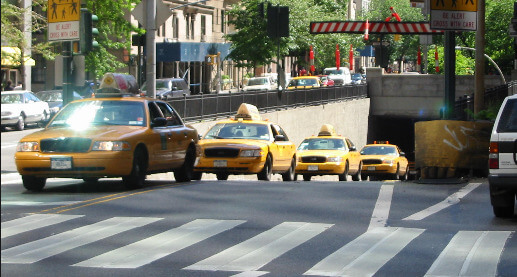 Read the following steps that will guide you to gear up your new taxi service. Every business requires a considerable amount of investment to generate good income on taxi business start up cost also run high for several reasons. Typically, any vehicles on the road need insurance and this goes double for public transportation. For taxi cab services, insurance is one among huge investment which runs 20 percentages of cost from annual income. You must spend $60 per week and this could keep increase, depends on insurance for number of cabs. In taxi business, buying taxi is a large asset which would drive investment towards the type of vehicle and its manufacturer. Starting up with few fleets will increase cost accordingly, buying used cars can cut off your investment. If you are intended to blast your business with a large number of taxis, then you should get around the latest technologies like automated dispatching system which will increase start up cost. If your cars are completely equipped, then obtaining taxi license is quite easy. In some cities, taxi cab services requires only normal license that you can get from clerk office. The license cost will come around $3000 per year.